SOUTH AFRICA: Enel Green Power has secured three energy supply contracts with state-utility Eskom totalling 425MW. The contracts were awarded as part of the fourth round of deals in the country's renewable energy independent power producer procurement programme (REIPPPP) tender. Enel will be now be able to build three projects in the Eastern and Northern Cape regions of South Africa. They are the 142MW Oyster Bay project, the 141MW Nxuba, and the 142MW Karusa development. Enel will invest €500 million into the projects. The Italy-based firm said Nxuba and Oyster Bay would be commissioned by 2017, with Karusa coming online in 2018. Enel has also announced that work has started on the 111MW Gibson Bay project, part of the third REIPPPP tender in October 2013. Nordex will supply 37 3MW turbines to the site. 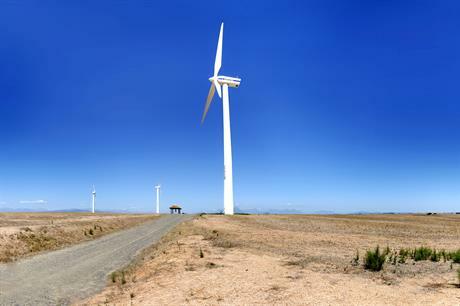 South Africa reached 575MW of commissioned wind projects by end-2014, against just 10MW online a year earlier, according to the South African Wind Energy Association (SAWEA).